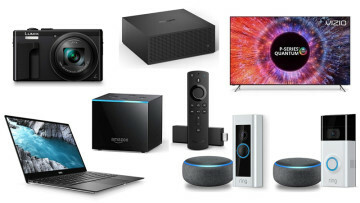 Amazon is known as a visionary internet company that’s managed to expand from a small book company to a huge international retailer with an eye on the pulse of technology and of the global markets. So it wouldn’t surprise anybody to find out that Amazon is now launching its own brand of diapers. 1) Wait, what? Are you serious? Yep. 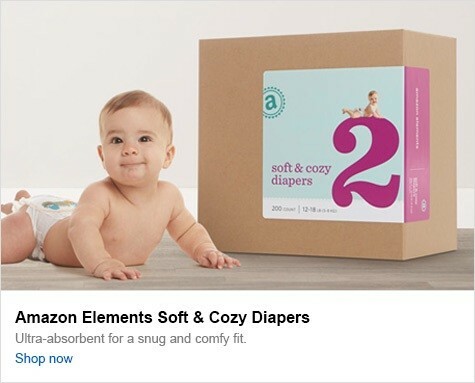 The company is launching what they’re calling Amazon Elements, though for simplicity’s sake you can just think of them, at least for now, as Amazon diapers. 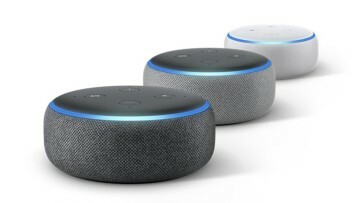 They’re available starting today for Prime members in the US. 2) You said “for simplicity’s sake”. What’s the complicated version? According to their press release, diapers will be the first step in a bigger project. Elements will focus on “premium, everyday essentials with transparent origins”. Meaning we’re likely to see more toiletries and products added in the future. It all depends on how liberal Amazon wants to be with the definition of “essentials”. 3) Are Essentials products cheaper? Yes. Amazon is working directly with producers and selling products under its own brand, not to mention it owns the distribution pipeline. This means that the company is likely able to undercut most if not all the other retailers that are selling products on its store. For example, let’s look at the currently available diapers; Huggies and Pampers are the two major brands that sell a lot of their stock online. Their prices range somewhere between 24 cents and 34 cents per diaper, while Amazon’s new product retails at 19 cents – a 20% discount at the minimum. 4) Well that sounds great. What’s the catch? There isn’t really one, for consumers at least. 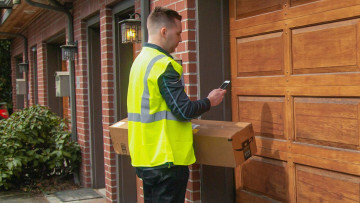 I guess the only current issue would be the fact that if you want to buy any of the Essentials products you’ll need to be a Prime subscriber; Amazon is trying to make its subscription service even more appealing by imposing this rule. However, a company spokesperson did say that Amazon Essentials will eventually be available without the Prime subscription. Even so, it’s likely that newer, better or more in-demand products will always remain behind this paywall. 5) You said there’s no catch for consumers. Is there one for Amazon? There is one for Amazon in the long-term and there’s also one for the retailers currently listing their products on its website, such as Pampers and Huggies mentioned above. They’re basically interconnected and it all depends on where the company’s ambitions lead it. But make no mistake, what Amazon is currently doing is its partners’ worst nightmare as it undercuts current brands because of Amazon's existing pipelines. Remember when Microsoft launched the original Surface? It came completely out of left field and surprised both the media and its hardware partners who got very angry very quickly. That’s because Microsoft went from being a super valuable partner that OEMs depended upon to suddenly being a huge competitor who held all the cards in his hand. See the parallel I’m drawing here? Amazon is pretty much doing exactly the same thing. With its power over distribution, its international reach and its powerful brand it suddenly went from a partner to a direct competitor. A pop-up kinda like this one! Now imagine the following scenario to get a clearer picture. Let’s say you’re shopping online for diapers for your newborn. You’re tired, sleep deprived, and hopped up on chemicals from being a first-time dad or mom – spending more than a couple of minutes deciding on diapers is definitely not on your schedule. So you go for your usual brand when suddenly a pop-up appears telling you that Amazon – a brand you’ve been using for many years now – will sell you higher quality diapers for less money and will also ship them much sooner. Now imagine that same scenario for any product you can think of; this is why Amazon’s partners are scared. 7) I’m still not seeing the downside. How’s this bad for Amazon? It’s not necessarily bad but it might significantly change their business model. Let me get back to the Microsoft story from above. After launching the Surface and angering many of their partners the company, knowing they completely depended on said partners, did everything it could to appease them: showered them with money, and ads, and deals, and name-dropping. 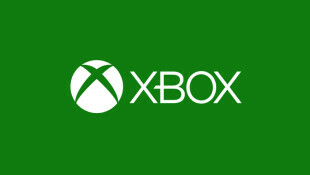 This helped Microsoft maintain its key partners while also keeping its brand new product on the market. Amazon may choose to do the same and cut some sort of deal with its primary partners to make sure they’re not undercutting them by too much. However, Amazon may choose not to do any of that and instead compete as much as they can; and they will probably win this fight. 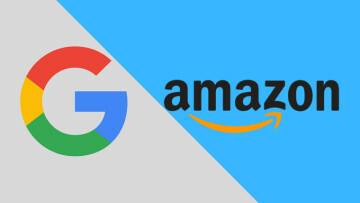 However its partners, seeing as Amazon is no longer the “Amazon” that people remembered, will no doubt help one of the company’s competitors - whether directly by funding it or indirectly by simply switching to it - to shift the balance of power away from Amazon. Thus they will ensure that a new company becomes the default online marketplace, while Amazon is left to sell only its own products. It’s simple market forces, but this may drive a permanent change in the way Amazon does business and right now, it doesn’t look like the company could afford such a move. Yes it is, much as it has since it first started doing business; the change has so far have benefited itself and many consumers at the same time. As for how much it’ll change going forward, that all depends on what its ambitions are for the company and how successful this venture becomes. 9) Did you honestly think you’d get to ten questions? Yeah I did, apparently I fell a bit short. Thanks for reading anyway!